I traveled to Sacramento this week to lobby at the state legislature against a bill that would make it even easier for developers to extract waivers and concessions from local governments for their high-density housing developments. The state’s current density bonus law allows developers to build more units and waive zoning requirements like parking standards and street setbacks if they agree to build affordable units as part of a project. The current version of the bill further loosens requirements for developers, limiting a city’s ability to ensure that projects are high quality. Density bonus projects are reviled in Encinitas by neighbors who want developers to follow the established rules and code governing how many homes can be built, how close to the street they sit, how tall they are, and how many parking spaces are required. It’s important to remember that most new Encinitas housing developments are between five and 20 homes. Unlike other cities, we don’t have the land available for large apartment complexes of 100 units or more. Density bonus projects usually add one or two affordable homes to our total housing stock. The project’s mass, scale and integration into a neighborhood is critically important. What does it mean to build an “affordable” home in a density bonus project? It’s a home whose sale or rental price is artificially restricted to lower than market value for 55 years. The home is only available to those who demonstrate a low income on their tax returns. The developer takes a loss on this “affordable” home, but theoretically can absorb the loss on one home by building more market-rate homes that command full price. The developer is allowed to waive some development standards, like set-backs from the street, in order to make the entire project pencil out. The fundamental concept is that this is a “market solution,” which means the government isn’t directly subsidizing affordable housing, but stimulating the market to create and sustain the affordable housing on its own. It’s an imperfect system, but it’s our reality in California under the existing density bonus law. Based on our lobbyist’s direction, I muscled my way into one of only two speaker slots allotted for the “oppose” category. The lawmakers’ 15-minute discussion of AB 2501 begins at hour 2:28 and is worth listening to if you’d like to know more about this critical issue. I recognize that I’m pushing a rock uphill with my advocacy, given the popularity of density bonus law for many legislators in the state who like the idea of a market solution creating affordable housing. The phrases “housing shortage” and “housing crisis” are used repeatedly at the capitol to communicate that more homes need to be built in every city in California to accommodate a rising population. The governor himself has already said that he wants to sign this bill because of this housing crisis. But someone needs to give voice to the reality that not every city wants or needs to be urbanized. Our zoning code is already designed to include higher density areas, usually around transportation hubs like the train station and the freeway. Lower density areas like rural Olivenhain are farther away from transportation by design. Making every zone more dense than it was designed to be will result in more traffic, overcrowding and congestion — undermining the primary purpose and protections of the zoning code in the first place. 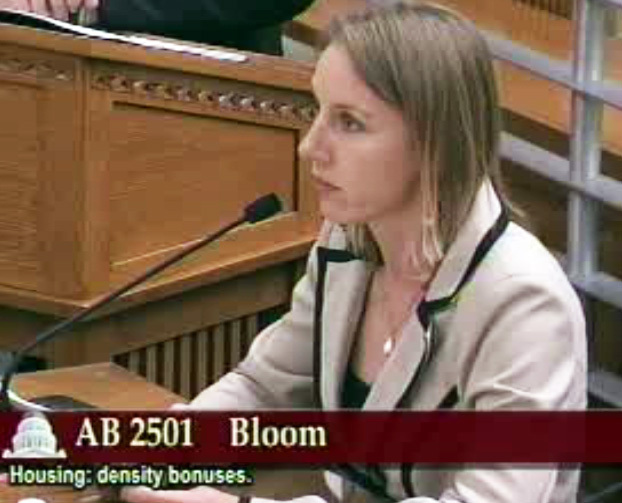 Unfortunately AB2501 has gotten worse as it has headed through committees. The version I spoke against had proposed language that de-coupled the waiving of development standards from the building of any affordable housing, essentially making development of all types easier, including exclusively commercial projects. Opposition from groups that represent large numbers of stakeholders, such as the League of California Cities, created the momentum necessary to delay the bill in the Housing and Transportation Committee so it can be amended to address these concerns, and at minimum, regain the connection between waiving development standards and building affordable housing. While my testimony may have helped a little, the bulk of the momentum for changes to the bill came from bigger players. You never know what will happen to a bill, however my prediction is that AB2501 becomes law. But some of the specifics are still being worked out. 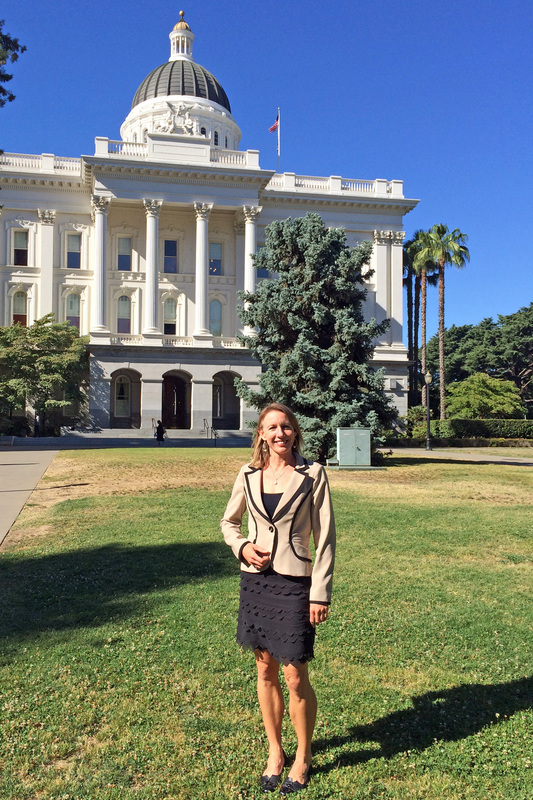 In addition to a meeting with our state Senator Pat Bates and speaking against AB2501, I also spoke in favor of a bill that would allow seed libraries to avoid the onerous and expensive labeling requirements imposed on commercial seed companies. The seed labeling bill has no opposition, and the city has already sent a letter of support. We have at least one seed library in Encinitas, and the trading of small amounts of seeds for family-scale farming helps create local food resiliency. The seed labeling bill is a common sense law to eliminate government interference where it’s not needed. I was happy to have the opportunity to speak publicly in favor of it. The trip to Sacramento was well worth it, but taxing — starting with the 4 a.m. alarm for a 6 a.m. flight, and ending 14 hours later. I’m happy we have capable, professional advocates who represent our interests in Sacramento every day. Most important, I feel privileged to be able to speak directly to lawmakers about an issue that is crucial to Encinitas residents. I hope Encinitas voters will say “Yes” to this, despite the cumbersome phrasing, so that we can finally be compliant with state law and avoid future costly lawsuits. Deputy Mayor Lisa Shaffer brought up two important points near the end of the meeting. She reminded us of the Council’s priority to ensure recycling in commercial businesses, which is both state and local law. Our waste hauler, EDCO, has offered to do the needed outreach and education to the 50 or so Encinitas businesses that don’t recycle at all. I’m grateful that she highlighted this, for it shined light on an area that appears to have been languishing. Also important to me is that every time the city approves an event on our city’s streets or parks, we need to require that recycling containers (provided free by EDCO) and appropriate signage are provided. The deputy mayor also highlighted that while we continue to collect “in lieu” fees in our affordable housing fund from developers, we need to focus on creating a project to utilize those funds to actually create the housing. 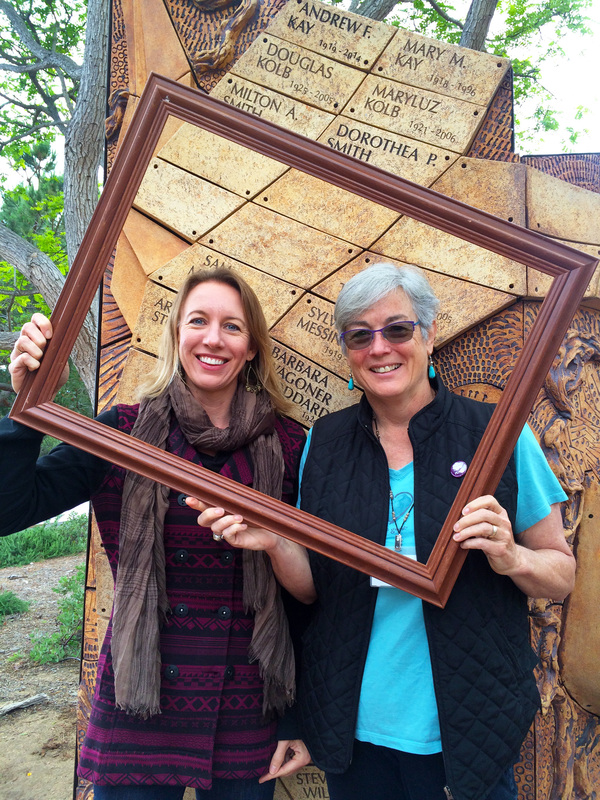 Deputy Mayor Lisa Shaffer and I have been framed. Anyone know a laywer?! Deputy Mayor Lisa Shaffer is an intellectual heavyweight who will be sorely missed when she retires from public office at the end of her first and only term in elected office. On Wednesday, Lisa and I were both appointed to write the November ballot argument in support of the Housing Element update that I mentioned above. Before 24-hours had elapsed, she had emailed me her first draft. This is Lisa’s approach to her City Council work. Just six months from retirement, Lisa continues to take every issue very seriously, reading every word in lengthy staff reports and offering important, substantive feedback. While we don’t always see things exactly the same way, the City of Encinitas has been lucky to have her talents for the last four years. Next year, many people, and particularly me, will miss her. Previous Post6/19/16: Living Within the LawNext Post6/28/16: Please Contribute to Catherine Before Thursday!